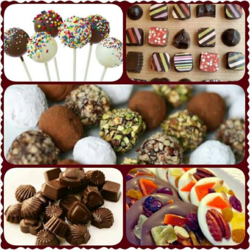 We teach you various variety of handmade chocolates with different styles & ingredients. Our Moulded chocolates are the best answer for all occasions like- B'day party, wedding, christmas, diwali or valentine. Soft center like caramel, ganache, . How to make plain and decorated shell . for detail about the classes schedule, call us or mail us. The advanced course of chocolate making is dedicated to those who want to learn chocolate making and learn the latest style and techniques of Chocolate making. If you are already into this profession and you aim to gain your knowledge and learn what’s new in the market than this advanced course is the idol for you. The professional chocolate truffles tell you about the history of the truffles and how they were actually prepared. The course also gives you a detailed knowledge of the various kinds of materials that can be used in preparing a delicious and mouthwatering truffle. It also tells you about the various kinds of truffles that are popular among truffle lovers. re you interested in learning the ways to make bakery products? Just register for Baklava making courses at CSDO. This is the right academy that provides courses that can provide you with a career option that can improve your skills to set up a business at home. The courses are well designed considering the demand of students and supporting them to turn their hobby into a career option. This is the best course apart from traditional business opportunities. You will be trained on types of chocolates and choosing the right kind of chocolate. 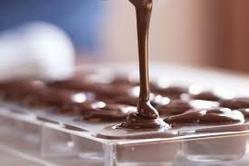 You will learn using the different chocolate molds and to choose the right kind of mold. You will learn using types of the essence and to choose the right kind of the essence. You will gain knowledge of chocolate making equipment. You will learn the Difference between the hard center and soft center. You will learn Styles of chocolate packing paper and choosing the paper. You will gain Knowledge of chocolate machines. You will gain Knowledge of making chocolates for production purposes. You will gain Marketing of chocolate. How to melt and temper chocolate during the different seasons. 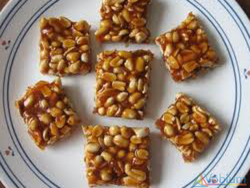 The demand homemade Chikki is high in India. If you love cooking and feeding the appetite of people, then Chikki making course is the best way to turn your hobby into a profession. At CSDO Chikki making courses are designed to educate people and improve their skills to learn various ways of Chikki making. This academy has various vocational courses that are providing career option to people who wish being their own boss and love working from home. The bouquet that is made of the chocolate dedicates and beautiful in nature. They are the unique thing and anyone will love to get one. After knowing the secrets of how chocolate bouquet made you can easily make them for your chocolate shop and we guarantee that your customers will simply love them. 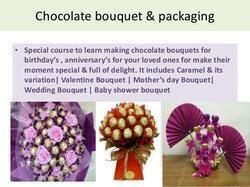 And, if you take the course you can start your business with valentine’s day bouquet. 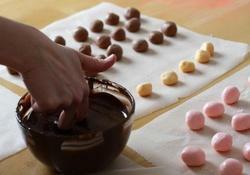 Looking for PROFESSIONAL CHOCOLATE MAKING CLASSES ?